April is autism awareness month, which kicks off with the eighth annual World Autism Awareness Day, which is held on April 2. The month is dedicated entirely to promoting awareness, learning and education, acceptance and drawing attention to the tens of thousands of individuals who are diagnosed every single year. It has been more than 25 years since the Autism Society launched their first efforts to promote education, inclusion and awareness for all those affected with this disorder. Autism spectrum disorder (ASD), is a neurological disorder that is most commonly associated with difficulties communicating, societal impairments and behavior patterns that are often considered to be restrictive, stereotyped and also repetitive. The spectrum for the disorder is vast, with individuals falling at varying degrees from a mild form known as Asperger syndrome, to classical ASD which is considered the most severe. One of the most common signs of autistic tendencies, can be seen in the behavior and interactions within society, of the person with the disorder. Symptoms can be seen as early as infancy, with the child being unresponsive to adults or even being fixated on one object or spot for long periods of time. In children, the symptoms may not appear as readily. As they grow up, the children might progress normally, but then start to withdraw and appear to be indifferent to the societal interactions that other children might typically engage in. Autistic children have a number of other characteristics that are found to be common in those dealing with the disorder. These characteristics include, a failure to respond to their names, difficulty understanding and reacting to social cues, some even engage in repetitive motions and may not start speaking for some time. Some autistic children will refer to themselves by name, rather than use pronouns such as me or I. 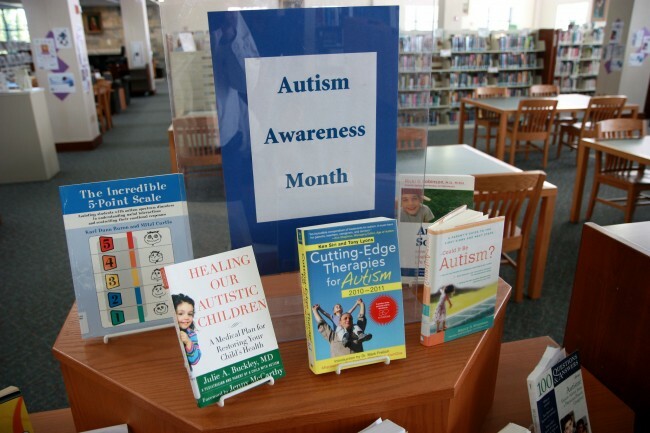 With Autism Awareness month being in April, there are a number of ways celebratory events occur. In fact, throughout the month there will local events that take place via affiliates of the Autism society. There are partner opportunities, as well as events and activities held exclusively online. In honor of awareness month, there is even presidential and/or congressional declarations made. April 2 is World Autism Awareness Day, which is a United Nations sanctioned day in support of all those who live with the disorder. 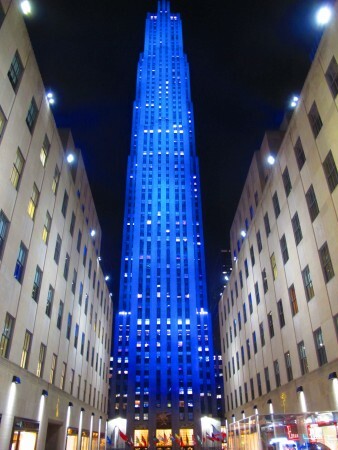 The organization known as Autism Speaks is celebrating ten years with the Light it Up Blue campaign in honor of the day. A number of landmarks will be taking part in this event, including Niagara Falls, which will be lighting the falls up in shades of blue. In South Dakota, the Crazy Horse Memorial will be participating, as will the Macy’s Flagship store on 34th Street in New York City. This is not the first time that famous locations and landmarks have taken part in the event, some past participants include the Leaning Tower of Pisa, The International Space Station, The Empire State Building and the Giza Pyramids. In honor of Autism Awareness month, this April, people are encouraged to show their support by taking part in events, or even by wearing the puzzle piece ribbon, a symbol of autism awareness. Individuals are also encouraged to show their support via social media, such as personal blogs, Facebook and Twitter. There is a logo badge for the month that can be used, or the more readily recognized puzzle piece ribbon is always a good choice.